The 10th Amendment provides that, if the Constitution does not either give a power to the federal government or take that power away from the states, that power is reserved for the states or the people themselves. The Supreme Court has long interpreted this provision to bar the federal government from “commandeering” the states to enforce federal laws or policies. 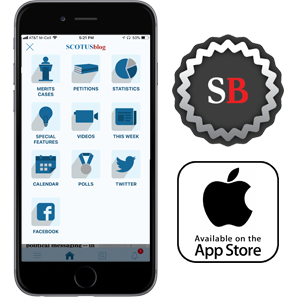 Today the justices ruled that a federal law that bars states from legalizing sports betting violates the anti-commandeering doctrine. Their decision not only opens the door for states around the country to allow sports betting, but it also could give significantly more power to states generally, on issues ranging from the decriminalization of marijuana to sanctuary cities. The federal law at issue in the case is the Professional and Amateur Sports Protection Act, which dates back to 1992. The law, known as PASPA, bans most states from (among other things) authorizing sports gambling; it carved out an exception that would have permitted New Jersey to set up a sports-betting scheme in the state’s casinos, as long as the state did so within a year. But it took New Jersey 20 years to act: In 2012, the state legislature passed a law that legalized sports betting. The National Collegiate Athletic Association and the four major professional sports leagues went to court, arguing that the 2012 law violated PASPA. The lower federal courts agreed, prompting the New Jersey legislature to go back to the drawing board. In 2014, it passed a new law that rolled back existing bans on sports betting, at least as they applied to New Jersey casinos and racetracks. 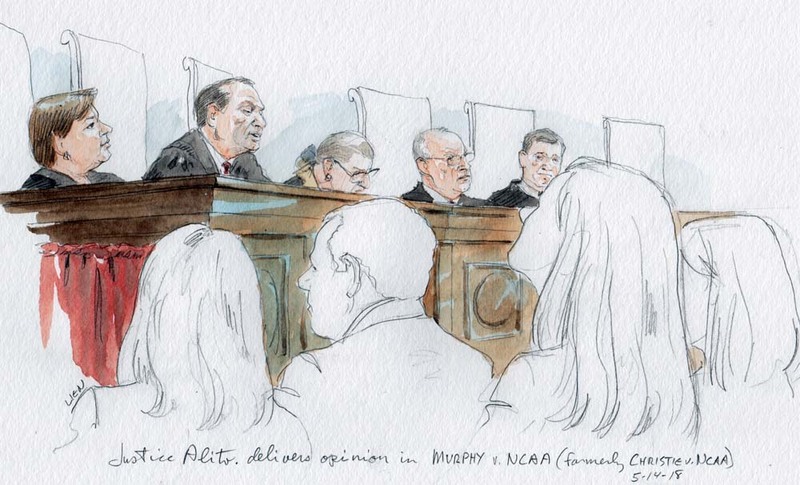 The NCAA and the leagues returned to court, arguing that the new law also violated PASPA, and the U.S. Court of Appeals for the 3rd Circuit again ruled against the state. 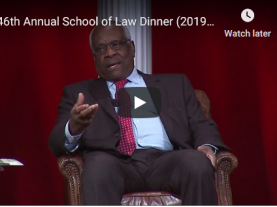 Justice Clarence Thomas filed a concurring opinion in which he focused not on the substance of the court’s ruling but instead on a fairly abstract legal question: the viability of the court’s current severability doctrine. 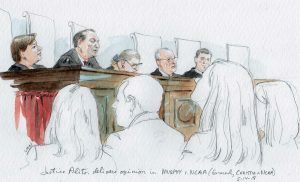 Thomas made clear that he joined the majority’s decision striking down all of PASPA because “it gives us the best answer it can to this question, and no party has asked us to apply a different test.” But he suggested that the court should, at some point in the future, reconsider its severability doctrine, which he characterized as “dubious.” First, he observed, the doctrine is contrary to the tools that courts normally use to interpret laws because it requires a “‘nebulous inquiry into hypothetical congressional intent,’” instructing judges to try to figure out what Congress would have wanted to do if part of a law violated the Constitution, when “it seems unlikely that the enacting Congress had any intent on this question.” Second, he continued, the doctrine “often requires courts to weigh in on statutory provisions that no party has” a legal right to challenge. New Jersey has long hoped that allowing sports betting would revive the state’s struggling racetracks and casinos. In March of this year, ESPN projected that if New Jersey were to win, the state could have legal sports betting by the time football season kicks off in the fall; nearly two dozen other states are also considering bills that would allow sports betting. The economic impact of allowing sports betting cannot be understated: Legal sports betting in Las Vegas takes in over $5 billion each year, and most estimates put the value of illegal sports betting in the United States at up to $100 billion.